The average price for this game since released is $7.55. The game first became 50% off on Jun 11, 2014 at Green Man Gaming. Lowest historic price was $3.60 on Oct 13, 2017 at Green Man Gaming. New lowest price on LEGO: The Hobbit for the PC during Gamefly Digital's Middle-earth sale. Also on sale is LEGO: The Lord of The Rings at the same price after coupon. The April released Lego: The Hobbit already 79% off today in GMG's PC Gaming Summer Sale and the lowest price ever by about $9. Best deal on this weeks release Lego: The Hobbit is Green Man Gaming, where a leftover instant savings pre-order discount is still available and there's a 20% off stacking coupon. Over $8 cheaper than the $30 you'll pay elsewhere. Couldn't get enough of LEGO LOTR? The Lego: The Hobbit video game releases on Friday this week. Green Man Gaming not only has a 10% instant discount, but a stacking 20% off coupon code to boot. The combined discounts slashed over $8 off the $30 list price. The average price for this game in the past 6 months is $5.99. The game first became 50% off on Aug 11, 2014 at Best Buy. Lowest historic price was $4.99 on Jul 20, 2018 at PlayStation Store. Gamefly has pre-owned copies of Lego: The Hobbit on the PS4 and Xbox One for $20 with free shipping. That's the lowest price we've seen the game by $10. Cheapest in new condition is $33. Console gamer looking for a deal on Lego: The Hobbit? Today Best Buy has the Xbox One and PS4 price down to $30 with free store pickup or free shipping with a total order of $35 and up. - a new low by $10. Lego: The Hobbit released on Tuesday this week for all platforms. 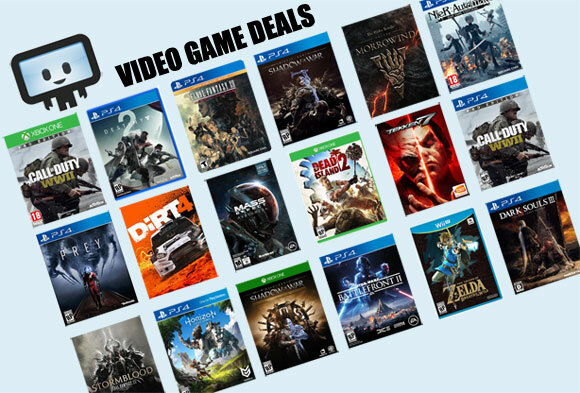 Today Dell Home is throwing in huge bonus $25 eGift Card and free shipping for the PS4, Xbox One, PS3, Xbox 360, and Wii U versions. The average price for this deal since released is $16.57. Lowest historic price was $8.29 on Sep 11, 2017 at Walmart. The average price for this game since released is $28.07. The game first became 50% off on Aug 11, 2014 at Best Buy. Lowest historic price was $5 on Sep 13, 2016 at Microsoft. Best price ever on Lego: The Hobbit on Xbox One by $9. Mixed reviews, but if you're a fan, get on it - this is the price of a large fast food meal, and probably more healthy. Lego: The Hobbit falls to the $20 mark on the Xbox One over at GameFly today. It's a used copy, but buying new will run you over $30 and pre-owned at GameStop right now will run you $35. Shipping is free at GameFly. The average price for this game since released is $26.86. The game first became 50% off on Aug 15, 2014 at Groupon. Lowest historic price was $6.88 on Nov 5, 2015 at Walmart. Last year's released Lego: The Hobbit on PS3 drops to $16 today at Target. Lowest price ever by a buck. The average price for this game since released is $28.39. The game first became 50% off on Aug 15, 2014 at Groupon. Lowest historic price was $17.09 on Jan 28, 2015 at Groupon. The average price for this game since released is $30.58. The game first became 50% off on Jan 28, 2015 at Groupon. Lowest historic price was $16.99 on Feb 16, 2015 at Target.